The building is primarily a reinforced concrete structure, with a raft ground floor slab and a suspended first floor slab, with precast concrete panel walls and lift shaft. Structural steel is used for first floor support as well as the framing for the metal deck saw tooth roof. 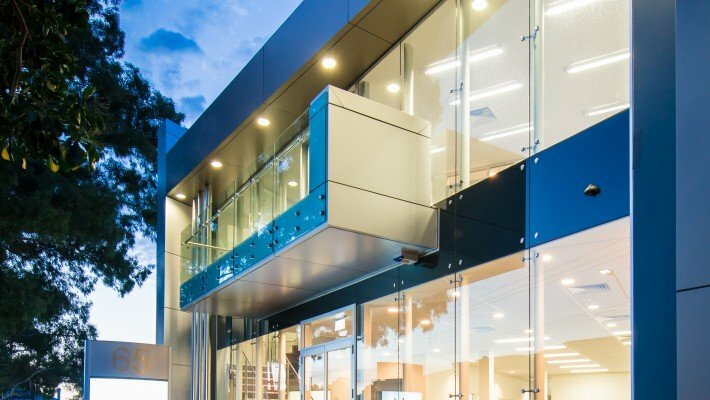 There is extensive use of frameless glass curtain wall shop front as well as commercial aluminium frames windows to the roof lights. 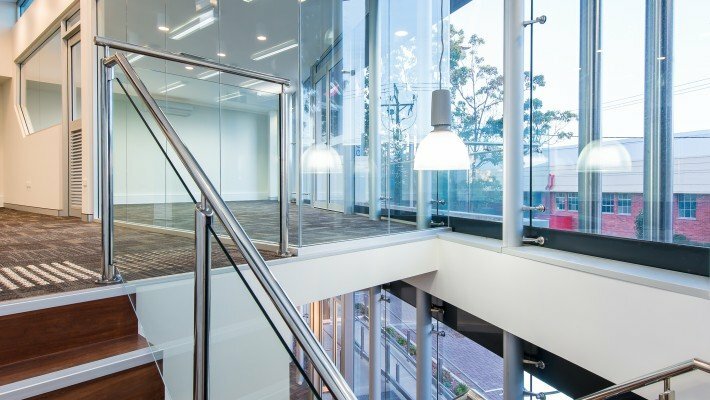 The building is designed to be flexible to suit future tenants requirements, resulting in minimal fitout work, apart from the high quality base building finishes. Many green initiatives were adopted including the orientation and roof design, solar controlled glass, increased rated insulation, insulated first floor, solar panels, and water retention. During the design phase and construction phase, Pascale Construction provided input to reach a better design and achieve cost savings. Some of the items included the overflow downpipe design which will vastly minimise the risk of box gutter overflow, the redesign of the internal stair balustrade system resulting in a $5,500 saving, the reselection of the curtain wall system resulting in a $22,000 cost saving, and achieving efficiencies with the concrete panel designs and sizing.